It is commonly known that your sports team preference says a lot about you. Similarly, your favorite bagel topping can reveal so much about who you are. If your favorite bagel topping is cream cheese, you are the typical rule follower. You always do as you are told, go through life exactly by the book and very rarely take your own path. You tend to play it safe but are completely happy this way. You also just really enjoy the thick and creamy texture of cream cheese smeared on top of your chewy bagel. Butter and Jelly-topped bagel lovers are a simple people. You don’t mind a little extra excitement, but generally you prefer traditional and classic flavors. You still love reading the morning’s newspaper while sipping on coffee and eating your bagel with butter and jelly, and you are a religious follower of Dr. Oz and Oprah. You’re everyone’s favorite person to be around, because you are so sweet and have a great sense of humor. If you only enjoy bagels topped with meats and cheese, then you are definitely the adventurous and fearless type. You don’t mind breaking the rules if it means more excitement and fun, and you most certainly are the life of the party. You add color to any situation, and you liven up any room. You are exciting and spontaneous and definitely do not take societal norms into consideration when making decisions. You are your own person, and you are extremely proud of that. 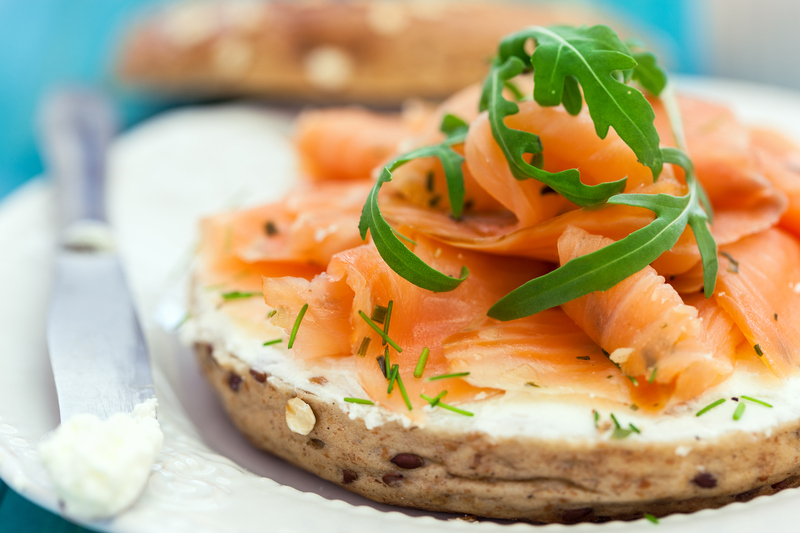 If you prefer lox on top of your bagel, then hold on one second please, while we get out the red carpet for you. You are a very fancy individual. You love experiencing the most luxurious things this world has to offer. Sunday Brunch is your favorite meal and the bagel with lox is always your go-to item on the menu. You are a very classy individual, but at the same time you are down to earth and have great taste buds. 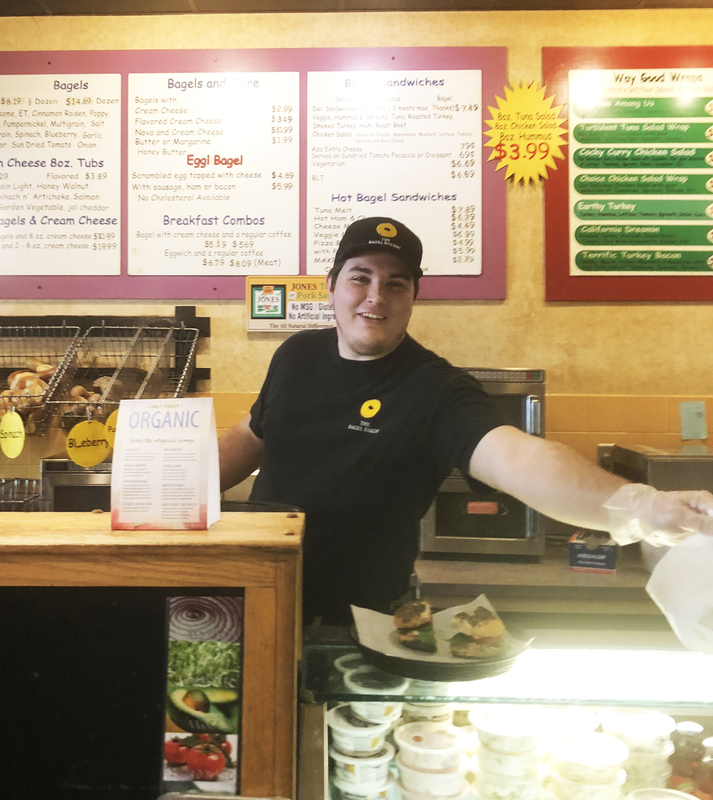 We at the Bagel Bakery love serving you and seeing you in our store, no matter which type of bagel topping you prefer, so stop by today for lunch and say hi to us! 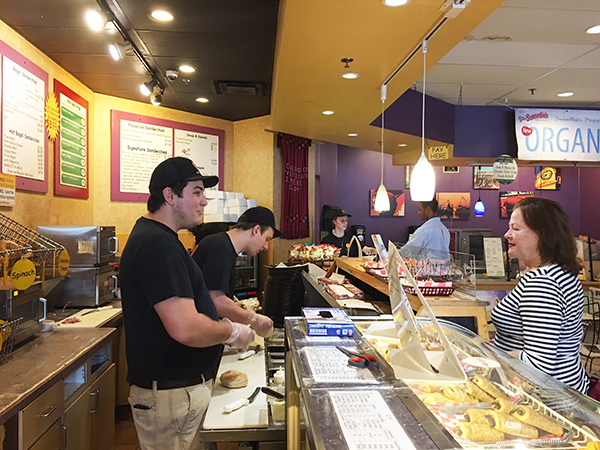 What better way to explore all of your possibilities at the Bagel Bakery than by hearing from our employees themselves what their favorite menu items are? Meet Davis, one of our hard-working employees and the son of Ken Rembert, our boss. Davis’s favorite menu item is the Three Cheese Roast Beef. This decadent Bagel Bakery original includes provolone cheese, bleu cheese, and chive and onion cream cheese, paired with lettuce, onion and tomato, all on top of juicy roast beef. “It’s so rich and there are so many kinds of cheese. The chive cream cheese goes so well with the roast beef. It is such a flavorful pairing,” said Davis. For just $7.49 you can get a Three Cheese Roast Beef Signature Sandwich from the Bagel Bakery and see for yourself why this is Davis’s favorite item on our menu. Bagels have personalities. They are each different in their own ways and attract certain types of people. Celebrities are similar to bagels in this way. The two are also similar in their importance to our daily lives, so we thought it would be fun to compare them! Plain Bagel – Have you ever had a rough day and found yourself craving the comfort of a plain bagel? Like Plain Bagels, Dr. Phil McGraw has the capability to make anyone’s problems disappear and to make anyone feel better. Plain bagels and Dr. Phil are loyal, simple and eager to help you through even your worst issues. Everything Bagel – Selena Gomez is an everything bagel if we’ve ever seen one. She can sing, she can dance, she can act, AND she has a great personality! She is everything to not only American Society, but to her universal fan base. We are always excited by her versatility and her colorful personality. Like the everything bagel, Selena Gomez keeps us happy, keeps us on our toes and keeps us wanting more. Cinnamon Raisin Bagel – When thinking about which celebrities most closely match a cinnamon raisin bagel, none other than Ellen DeGeneres comes to mind. Underrated, yet sweet and amazing, Ellen and cinnamon raisin bagels don’t get nearly enough credit for all they do. Spinach Bagel – Only the Popeye of pop-culture deserves to be compared to the spinach bagel. 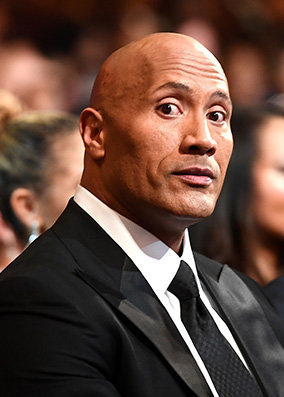 Dwayne “The Rock” Johnson spends every second of his time away from acting working on his body. Like the spinach bagel, he is healthy, and full of protein but still a crowd-pleaser. It’s Time for a Menu- Item Spotlight! The Bagel Bakery has so many delicious combinations to choose from, but with so many options, you may not know about all of the possibilities available to take your Bagel Bakery experience to a whole new level. But don’t worry; our monthly Menu- Item Spotlights will make sure you’re in the loop of all of our favorite picks! For only $5.99, and approximately 450 calories, our Spinach and Sausage Focaccia is a sure-win for any day of the week! 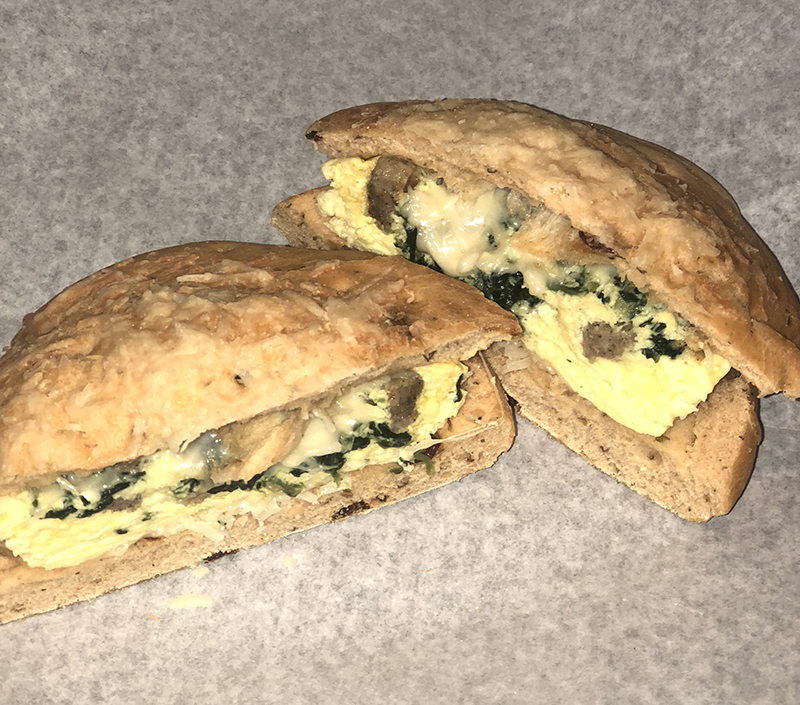 Stop by the Bagel Bakery today to try out the Spinach and Sausage Focaccia for yourself! We can’t wait to hear about how much you love it! If you own a business, you know how crucial your employees are to its success. They are the faces that your customers see when you aren’t there, they help to produce the product that fosters your livelihood, and, of course, they help to make your job a little easier and take some of the burden that comes along with running a business off of you. So, it is safe to say that employees do a lot. And what better way to show them that they are appreciated than with some bagels in the office on National Employee Appreciation Day, which is on March 2nd of every year. The delicious reward of a tasty bagel from the Bagel Bakery will not only show your employees how appreciated they are, but it will definitely incentivize them to continue working hard for another year. This year, make your employees feel loved and show them how much you appreciate all of their hard work by throwing a morning office party catered by the Bagel Bakery. Stop by the Bagel Bakery today and pick up a Bag O’ Bagels or two, some coffee and maybe even a few of our delicious muffins and cookies to surprise your employees and brighten their day!